I'm a massive fan of the jus roll guys cause they label their products vegan or not, (handy!). Their puff pastry is everything for a fat vegan like myself, it's quick, cheap, easy and freezable. 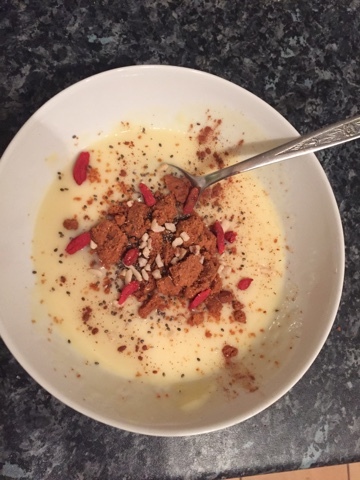 Sure it's probably really high in salt and sugar and whatever, but we're allowed once every so often when you've had a long hard day on the salon floor! Just cover it in vegetables, no one knows, it's fine. I also put grated violife cheese in mine, it kinda melted (not really, no proper stringyness obviously, it's vegan cheese.) complete option down to personal choice. Throw it in the middle of the sheet, haphazardly, then fold in the corners of the sheet, haphazardly and sort of squish it around between the layers of pastry and seal it all in, it resembled a kind of star shape by the time I had finished with it. Pastry brush on some milk, of your choice, and I also sprinkled mine with nutritional yeast, because that goes with everything always. It would work really well as a tear and share "bread", although I definitely just ate this to myself. 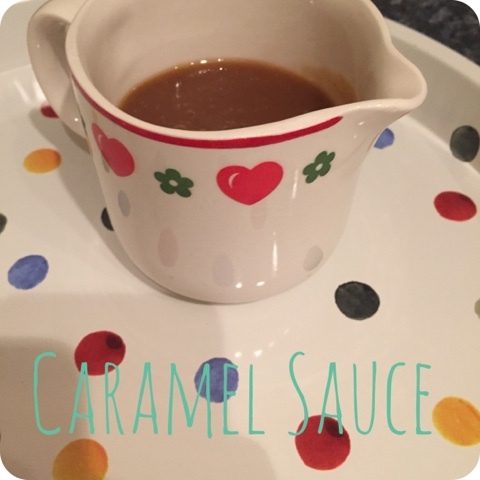 Combine milk, sugar and maple syrup in a medium saucepan for 5 minutes whisking often. Add in cornstarch and water mix and cook for a further 5 minutes. Remove from heat and add vanilla, salt and margarine. 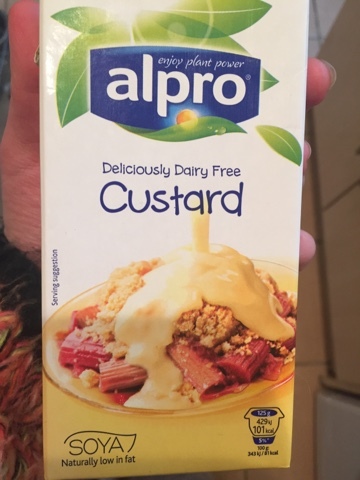 In that order on top of comforting Alpro custard. 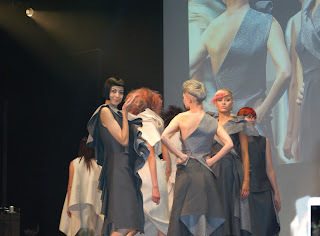 Together with Davines, we will save the world! 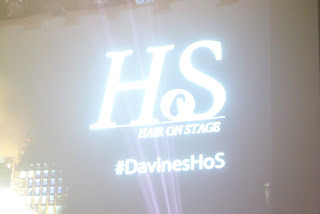 Yesterday I went to the Davines show "Hair on Stage", held at Central St Martins, London. It was pretty darn great. Thanks bosses! I've recently changed work places to a much more eco friendly approach to hairdressing and I am lovin it! Sorry to bring it all to light but so many companies out there don't respect our planet and the animals that roam here along side us. As soon as it came to light about the awful things that ANY company in the Chinese market have to test on animals I became uneasy about using them and I subconsciously started to stray away from most companies in my toiletries that don't give back to the planet in some way. 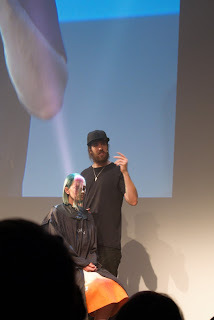 Although all the hair was fabulous, I learned a few tips and tricks and colour formular, met some cool people; the part I most appreciated was Davines devotion to the environment. "WE'VE BEEN USING RENEWABLE ENERGY SINCE 2006. EVERY PRODUCT FORMULATED, DESIGNED AND PRODUCED BY DAVINES IS OBTAINED WITH 100% CLEAN ENERGY." and Alchemic because these all contain milk proteins. 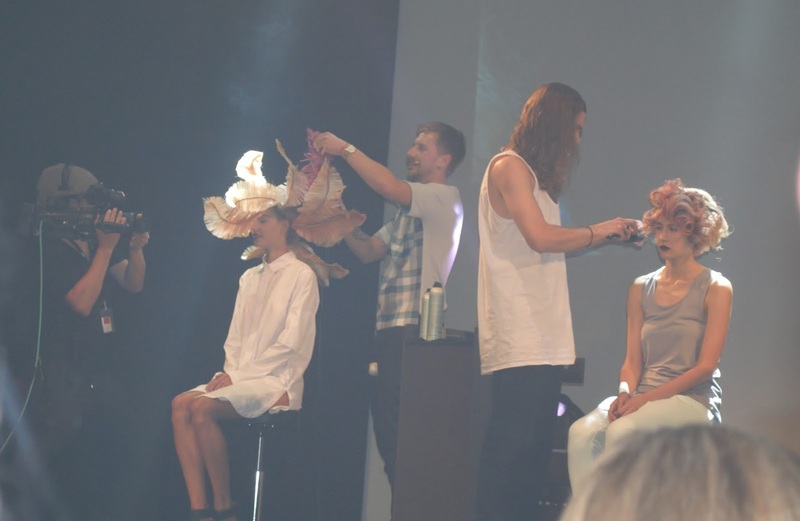 -Natural Tech Reconstraiction Miracle and Hair Building Pak and Melu serum contain keratin. 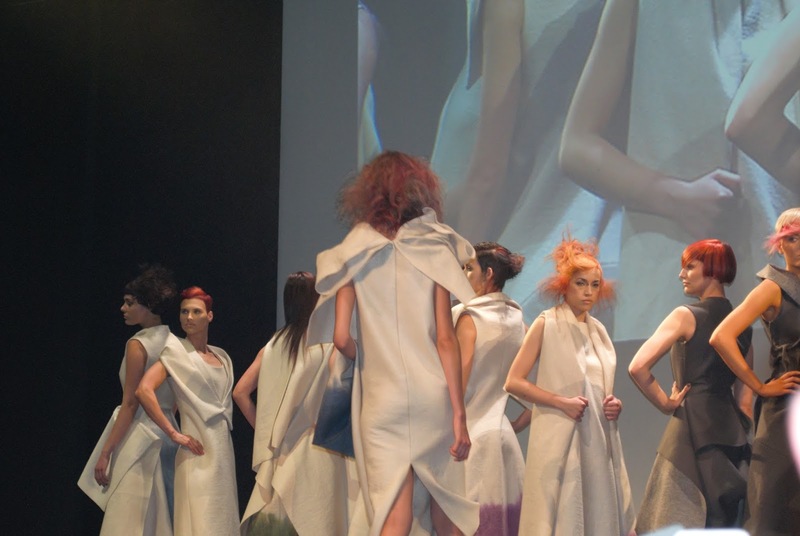 -Defining Texturizer also contains cashmere and silk extracts. 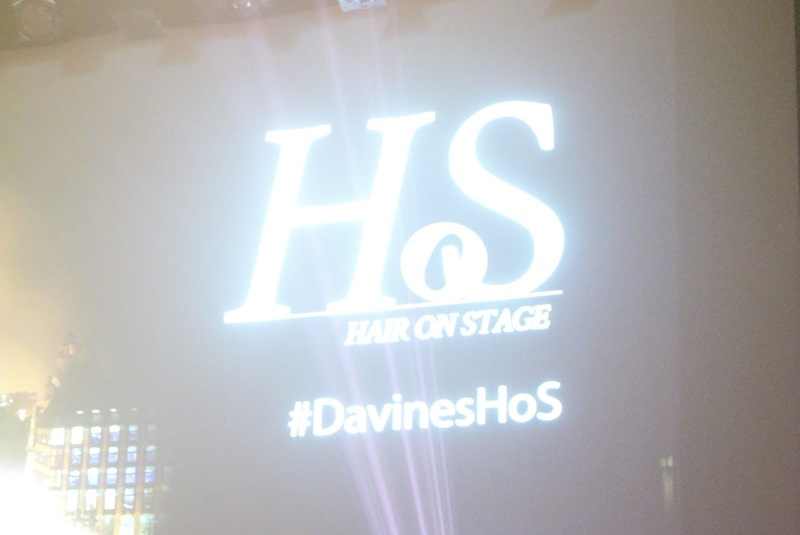 Davines has also stated on their website that they are all happy farmed, no ones hurt or killed for their goods. "To offset the environmental impact, Davines has been using renewable electric energy from natural sources - such as sun, wind, water and soil - to supply its plants and offices since 2006. These inexhaustible sources of energy do not release CO2, they do not pollute and are constantly renewed." Fabulous. Thanks for being so cool, Davines. Keep up the good work. It's packed full of avocado, beets and seeds; alllllll those delishy super foods. Beets, like all red fruit and veg, are good for your skin, which is what I struggle with, So I try and get loads of these in. (Funny cause my problem is redness so you solve that with red foods, duh). And obviously the seeds are good for fibre which can be a struggle sometimes in a vegan diet. The venue is great to, lots of plants hanging everywhere and a wall of a black board for kids (and adults) to draw on. There's also a little bit I like to sit at right at the back with lots of cushions. The staff there are so friendly and knowledgable, I always feel so welcome and at come, which is nice for a coffee shop in Portsmouth, normally they're pretty cold. Obviously the name is a bit of a give away that the place is actually a coffee house. This is embarrassing but wherever I get coffee I usually get an iced latte, with soy, obviously. And decaf. I cringe when I order it, but it's my fave! I don't get any eye roll here at Southsea Coffee Company like do at other places when I place my pretentious order. So anyway, they're range of coffee is great too. If you do end up going here make sure you get some cake too! Any one, they're all great! 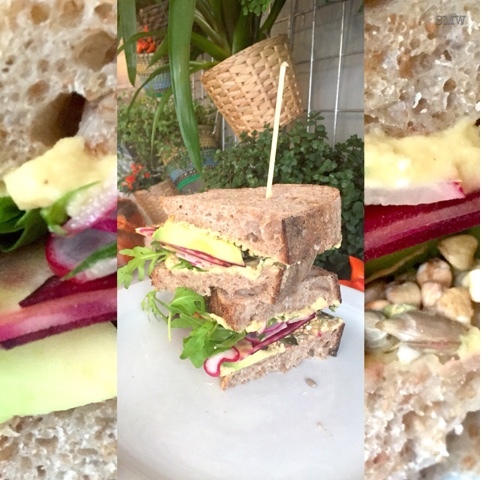 Labels: eat out vegan, eat out vegan southsea, nayliens vegan adventure, southsea coffee co. It's such a cliché of a photo, like instagram puked on my kitchen counter, but thats what 2015 is all about; the internet throwing up on individuals and everyone rolling around and relishing in it. Mmm delishy internet puke. Just in case you hadn't. So wholewheat toast (duh) then I'm pretty generous with (soy) butter. 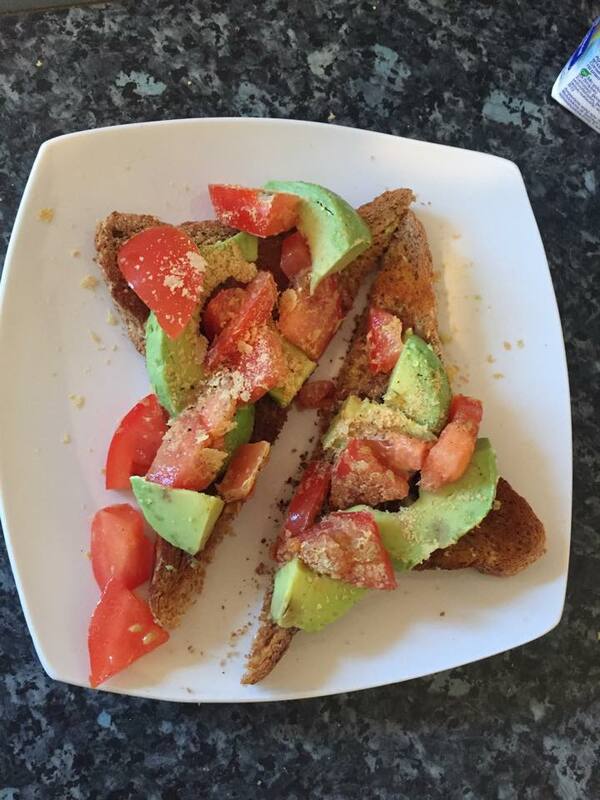 Chopped tomato and half an avocado, nutritional yeast, salt n' pepper. yum, easy, healthy, most importantly minimum washing up. Yum. Keep 'em in the freezer to keep the "chocolate" crunchy. 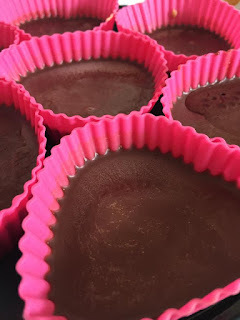 Softly melt the coconut oil (I've also seen variations where people have used cacao butter). 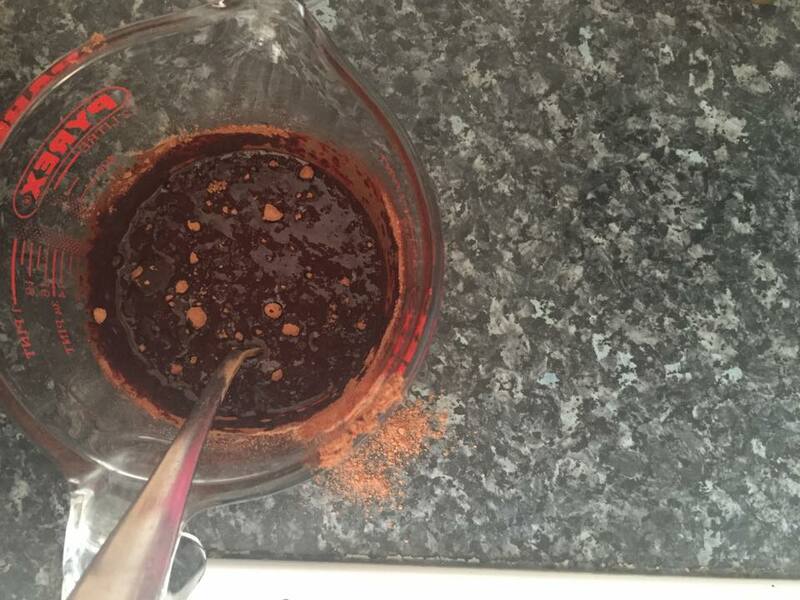 I tend to boil water in a small sauce pan and measure out my coconut oil in a glass pyrex jug, the jug being only a little smaller than the saucepan so I can melt the oil like you would chocolate, by putting the whole jug in the water in the saucepan. 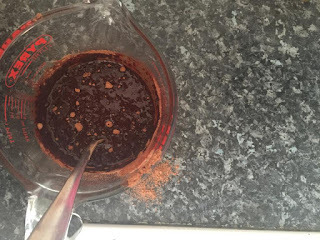 Once that has all melted slowly add in the cacao powder and stir the whole time (you can take the jug out of the water, the oil will stay melted for a while. Then add the agave. Pour half the mix into cases, freeze to set. 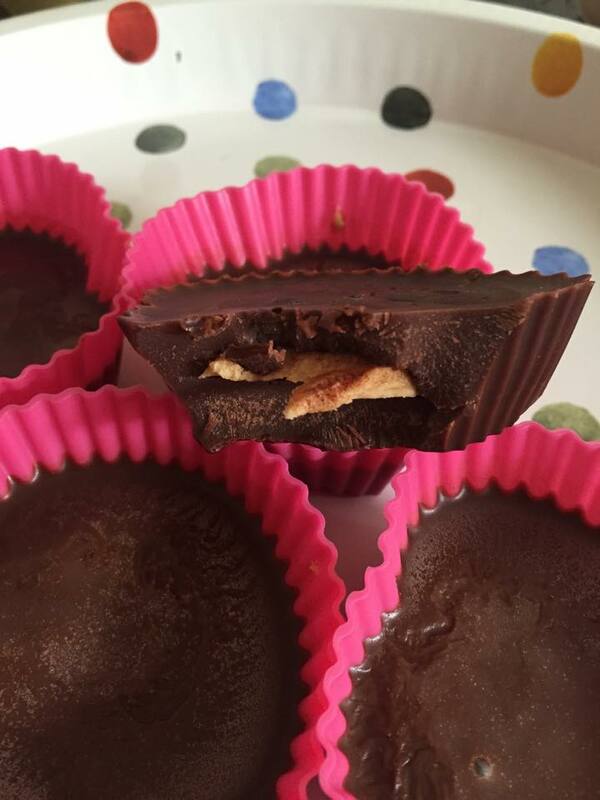 After 10 minutes, blob some nut butter in the centre and flatten out then cover the butter with the rest of the mixture. Freeze for a further 10 minutes. I hope soon to add these on top of some of Mums vegan brownies... more to follow soon.